Jodi Kramer is the Office Manager at Kramer Financial. Jodi enjoys working with clients and has many years of event planning, advertising, sales and marketing experience. 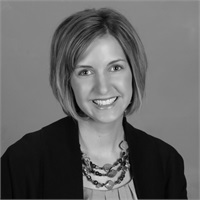 Prior to her work at Kramer Financial, Jodi worked as Assistant Director of Alumnae Relations at the College of Saint Benedict in St. Joseph, MN. Jodi has also held positions as Director of Community Services at the Good Shepherd Community in Sauk Rapids, MN and as Business Coordinator and Event Planner for the Franklin County Chamber of Commerce in Greenfield, MA. Jodi graduated from Iowa State University with a Bachelors of Arts degree in Political Science and a minor in Public Relations. She prides herself in being detail oriented with the ability to juggle multiple projects at one time; something she has perfected while raising two boys and working in the family business that she and James started. Jodi believes in being active in the community where her family lives and conducts business. She has been involved with the Chamber of Commerce since 2010 and she actively supports her church and her children's school on numerous projects, committees and events. When Jodi is not at the office she enjoys spending time with her family, reading, traveling and attending the many sporting events her two boys are involved in!